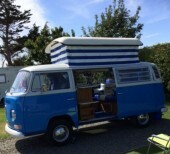 Looking to hire a totally classic camper van in Macclesfield, Crewe or another location in Cheshire. Look through the county listings and choose a van from the selection below. The campers can be hired from bases including Birkenhead, Wallasey, Chester and Runcorn. I am kellie, hire me today! Luxury Volkswagen T6 Automatic camper with Power Steering, ABS Reverse sensors and Rotating front seats.If you take a journey with Nile, you will get the benefit of knowing that all the important details have already been taken care of. The van is our fun bus; she is 43 years old and is a bay window pop top. she is great for families as the pop top has 2 bunks in the roof. 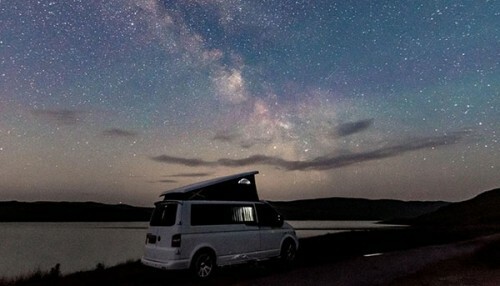 Hire a reliable Camper that gets you there faster so you can enjoy your getaway more! The van is a beautiful cream and beige 50 year old split screen van. She is ideal for romantic weekends away, weddings and special occasions.